Preschool Circle Time is a great start to the day and a great way to promote a sense of community. This time provides a time for the children to bond with and get to know one another. Your children are only together as a large group once (perhaps twice) each day, so take advantage of this time! Circle Time is so much more than discussing the weather, the calendar, and shape/letter/number of the week or month. If that is the main focus of your preschool circle time, you are missing the boat on the true potential of this large group time! There are many activities that can be done during this large group time but you should not limit it to ONLY traditional activities! We will discuss the traditional activities as well, but I'd like to encourage you to plan for preschool circle time as you would any other preschool interest learning center. Susy has a new baby at home. JoJo is moving into a new house next week. You have a new material to add to your science table. All of these events provide wonderful opportunities for group discussion and interaction during your group time! As a group, you could share baby pictures, talk about each others' houses, sings songs from a movie or present a new material and how it works! Use life events to promote bonding and discussion! If one of your students is expecting a new baby at home, plan a Babies Theme and plan some fun, related circle time activities! Guess the Baby! As parents to send in a baby picture of each child. Hang them on a board and see if the children can guess which friend each picture is of! Holding a Baby! Demonstrate how to hold a baby doll at Circle and then pass that baby doll around. Demonstrate diaper changing or bathing. Invite a parent to bring their baby to circle time. Build a House! Pass out blocks and have the children work together to build a new house. Ask JoJo what his house looks like--are there 2 floors? Stairs? Build it as you discuss the big move. The Move! Bring toy cars, trucks and blocks to use a ramps and roads. Have the children build two houses and then a road that leads from one to another. As you can see, there are many large group activities to do together surrounding the life events of the children! Preschool Circle Time is a wonderful time to introduce new materials! Do you just order a balance scale and teddy bears? Introduce it at Circle Time! Show the children how it works. Give a teddy bear to each child to add to the balance scale cup of their choice and then talk about what happens each time (one side goes up or the other goes down). This is also a great time to reintroduce a forgotten material! We had LINK Color Paddles in the science area for the longest time. The children never used them. I brought them to circle time and gave each child one paddle. They loved looking at each other through them. I then asked them to share with a friend and add two colors together and look through it. They loved that the red and blue paddles made everything look purple! I placed the paddles back in the science center and they were a hit for months after that! Story Time, of course, at Preschool Circle Time! Okay, this may be a somewhat "traditional" Circle Time activity, however, do preschool storytime but do it with flare! Act it Out Rather than just read a story, have the children act out the story while you tell it. The Three Bears, The Three Little Pigs and Are You My Mother are great for acting out in a large group! For more storytime ideas, go to my Preschool Storytime article page! 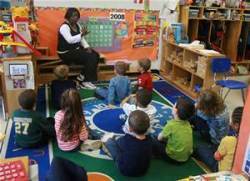 Introduce New Themes When you start a new theme, present items related to that theme at circle time. Ask the children if they can guess what the new theme is. For example, place a craft stick, an ice cube or snowball, a stuffed bear and a picture of a cave to introduce a Winter Theme or Hibernation Theme. Discuss New Themes You can have them chat about what they know about the theme and what you will be doing for that day in reference to the theme. Introduce an Activity Present items the children will be using at one of your interest centers today. 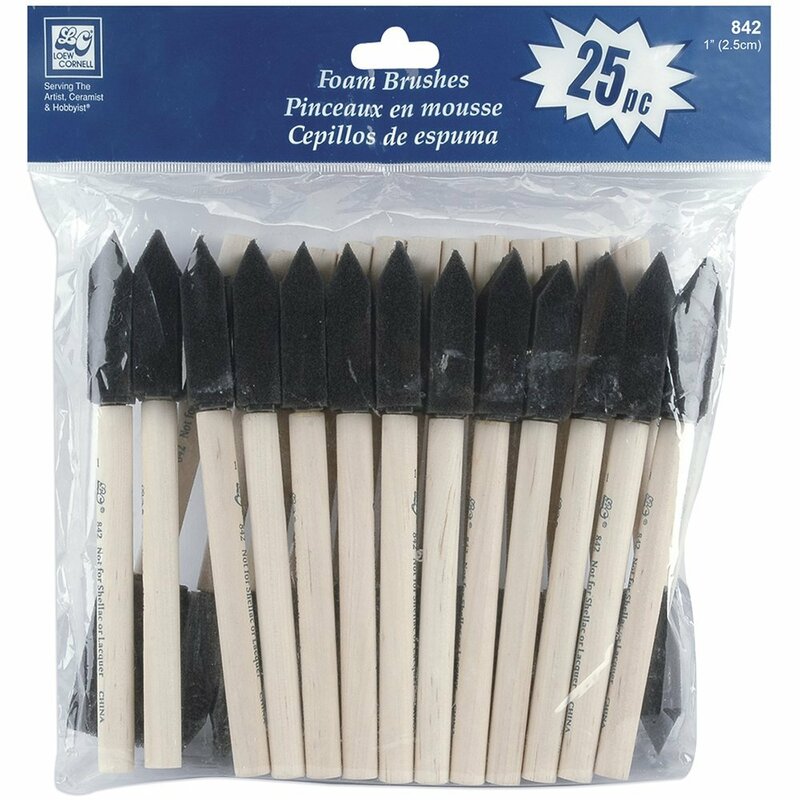 Will you be painting with sponge brushes rather than regular paint brushes? Show them! Will you use small tree branches to paint with at the easel? Show them! Recap a Theme At the end of a theme, list on a chart what they have learned about the theme. Using the KWL chart is common ("Know, Want to Know, Learned"). Read more about it on my Theme Planning page. Of course, there are traditional activities for preschool circle time as well. I encourage you to only spend 5 minutes--at the most--on these items. Although we can "teach" them at large group time, most children do not "learn" them, although they may memorize them (numbers, letters, colors, etc.) in a large group. Expose them to these concepts throughout your classroom where they can interact and use items in a hands-on way--which is the way preschoolers learn! Practicing number recognition, counting and a general concept of time can happen during calendar time. Preschoolers have limited attention spans so be sure to keep this activity to a minimal amount of time. Read more on my Preschool Calendar Time article for ideas. Similar to Calendar Time, Weather activities can take up a lot of your large group time if not planned well. When one child is the "weather watcher", the rest of your group is left to "watch the meteorologist" while they perform the weather functions you may have set up. 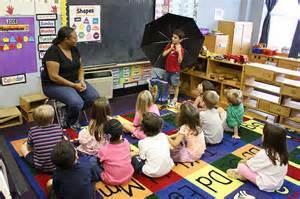 This idle time during weather or other non-interactive circle time activity is one of the top times teachers complain of behavior problems. There are many ways to work weather activities into your classroom. Click here to go to my Preschool Weather Activities article for ideas. This might be a great preschool classroom job for the helper to carry out in a small group or at a time during the day other than Circle Time. Some teachers have Show and Tell each week. I think this is too often...for the children and the parents. For the children because large group social skills do not come easily for many preschoolers. For the parents because it is not always easy to remember to bring in an item every week. I am a fan of a once a month Show and Tell. Some teachers have a theme for the Show and Tell item. I think this can help support a theme or concept, to a point. However, there is a lot of pressure for parents to remember and keep up with this, especially if it is every week. And let's be honest, it IS up to the parents to determine which items conforms to the theme (something that begins with "r", or something that reminds you of winter, etc.) and if a parent forgets, the child feels left out. This (feeling left out) goes against the whole purpose of Circle Time: being part of a group. I can not tell you how many times a child has brought an item in to school for Show and Tell and I cringed when I heard the teacher say something like "Ummm...that is NOT something red (or something about winter), but go ahead and tell your friends.......". Ouch. Speaking in a group. They could not have a more forgiving audience! Their friends! Sharing a part of the lives. Any item they bring in is an opportunity for their friends to get to know them a little better and for the children to share something about them. Last note about Show and Tell---don't forget that it is called Show and TELL. If a child forgets to bring something in, they can also simply TELL their friends about something such as "I have a puppy. His name is Jack." or "I like the color green." Another option, if a child forgets to bring something in, is to have them choose one item from the classroom to tell about. Is there a favorite car they love in the block area? Or a favorite baby doll? Or a favorite color paint? Let them show and tell about it during this time! The "Do's and Don'ts of Circle Time - An article with helpul hints for successful circle times. Circle Time as an Interest Center - An article on how to set up circle time, what children learn and more. Access 4 EDITABLE preschool themes each month! Click here to learn more! 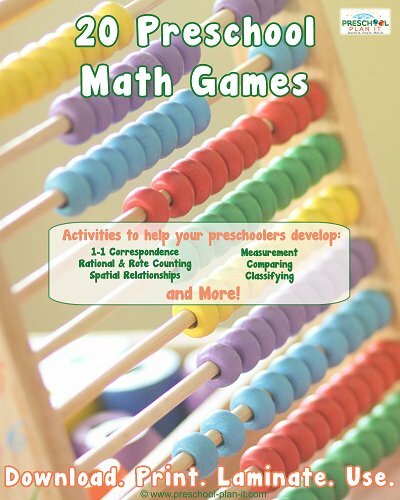 165 Page Preschool Math E-Book! Receive themes, articles and more FREE HERE! Visit My Preschool Theme Website! Visit My Preschool Director Section! Copyright 2009-2019 The-Preschool-Professor.com All Rights Reserved.